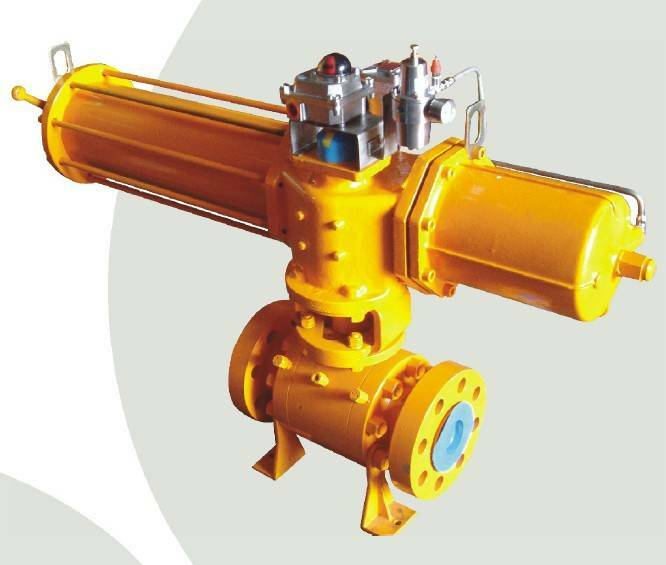 Our company produce the Pneumatic Actuators have 7 years,the Pneumatic Actuators have two type according to the structural, one is Spring return pneumatic actuators, this type of Spring return pneumatic actuators can automatically self-closing or self-opening when power cut or stop of gas supply. 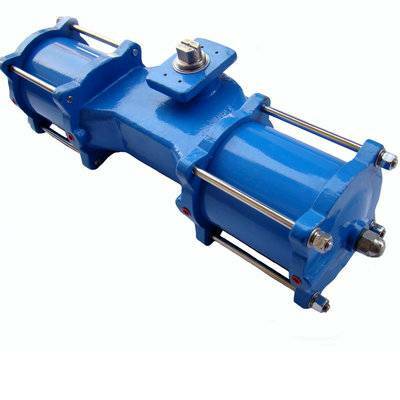 anther type is double-acting pneumatic actuators, this type of pneumatic actuators need used gas to opened or closed. Extruded aluminum body with Alodur special hard anodization applied internally and externally for a complete corrosion protection, a lower friction coefﬁ cient and an increased surface hardness for the longest wearing resistance. Additional protective coatings are avail-able on the external surface for different environmental working conditions. As a standard, travel stops allowing adjustment for – 5° up to +15° on the close position, and for + 5° up to -15° on the open position. 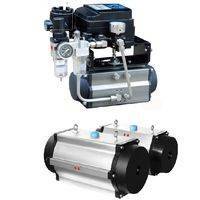 This allows accurate valve alignment, stroke limitation and provides on actuator a large travel adjustment. Integral drive-shaft is available with double square as standard to permit versatility, lower and more ﬂ exible inventory. Others connec-tions and an aluminum adaptor on top are available on requests. As standard actuators are supplied with a position indicators and a graduated ring allowing to achieve easily the correct actuator alve position. Other types of position indicators suitable for direct mounting of sensors (P+F, IFM, etc.) and mechanical limit-switches avail-able on request. Cartridge design in high grade coated steel for simple range versatility, greater safety and corrosion resistance. 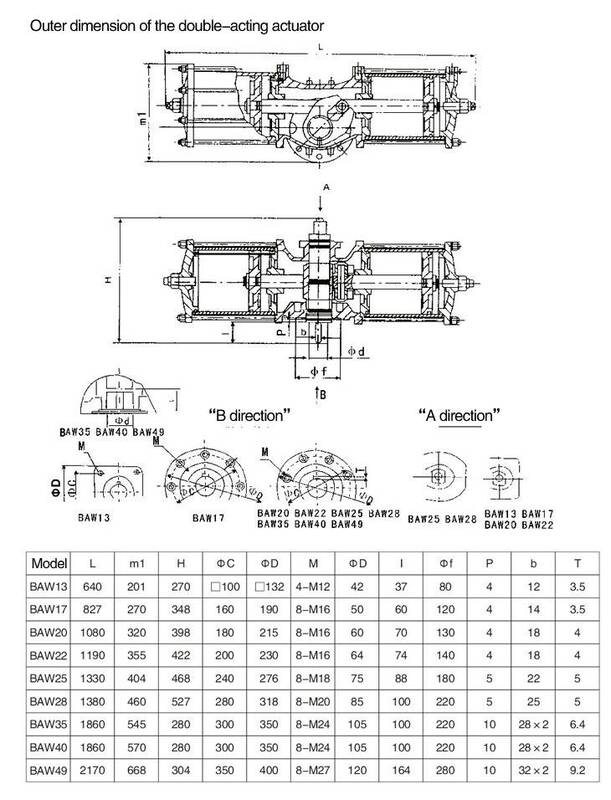 Blow-out proof, bearing guided for improved safety and maximum cycle life. 11.Big size body with large torque. The AW series actuators are used in the pressure guard and gas /hydraulic control system, and are proven performers is high and extreme low temperature operation .Custom design and manufacturing is available to meet unique requirements. 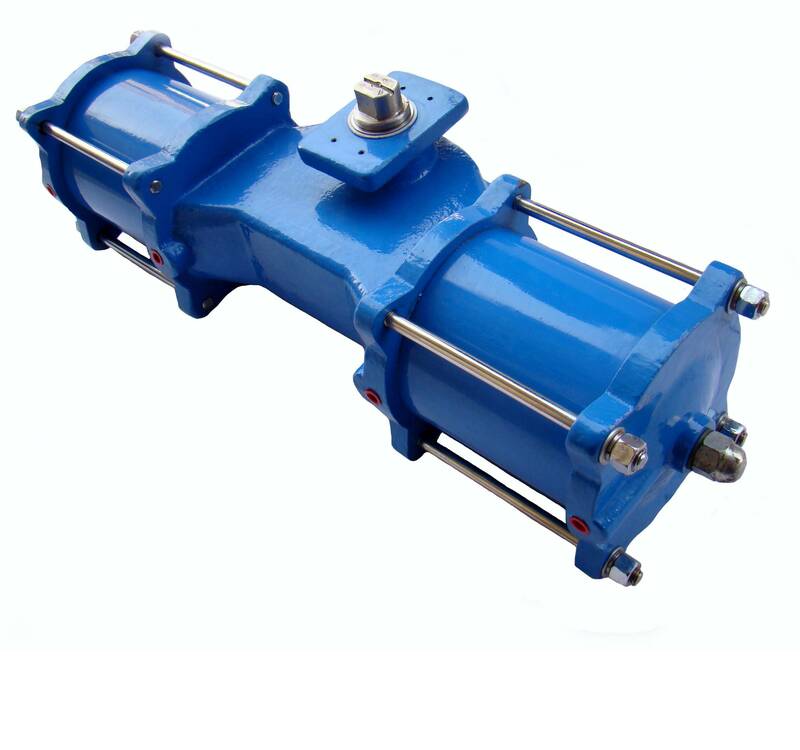 AW pneumatic or hydraulic actuators are compact , lightweight and ideally suited for ball butterfly and non-lubricated plug valves ,or any quarter-turn (90degree) rotating mechanism .AW Series is available in single or two cylinders for double acting or single cylinder /spring return configurations.